The Rafale deal helped the French aircraft manufacturer make it through rough financial weather. Meanwhile, the Modi government continues to run down India’s state-run premier defence manufacturer. NEW DELHI: India’s top defence manufacturer, Hindustan Aeronautics Limited (HAL), ranks higher than French aircraft manufacturer Dassault—in terms of defence revenue and overall presence in the global defence market in 2017—says an independent survey by American publication Defense News. As per the survey, among the world’s top 100 defence companies in 2018, HAL ranks 38 while Dassault Aviation ranks 44. 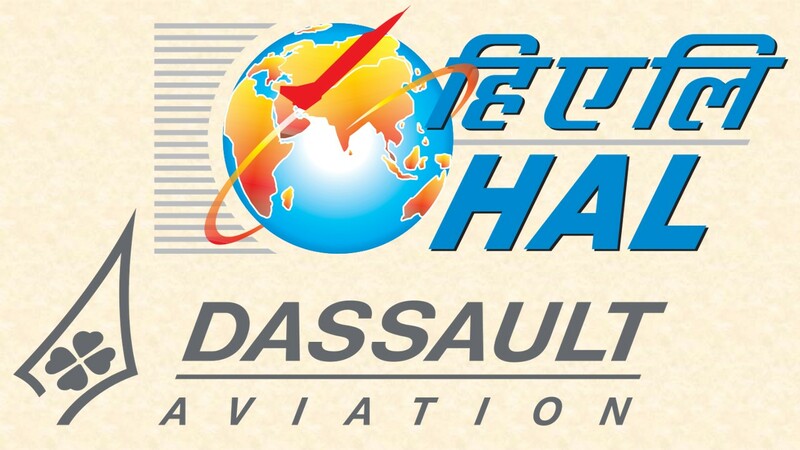 But while HAL—owned by the Government of India but currently facing financial trouble, which many experts and HAL employees have alleged, has been “designed” by the Modi government—fell three notches from its previous year’s rank of 35, Dassault climbed up seven steps from its previous position of 51. In fact, the controversial Rafale deal with India seems to have played a significant role in turning around the French company’s fortunes, but more on that in a bit. Defense News based the rankings on the “defense revenue — that is, sales that support efforts in military, intelligence and aspects of homeland security”. HAL’s defence revenue in 2017 was $2,720 million—a fall of 8% from its defence revenue in 2016, which was $2,518.60 million. The public-sector company’s total revenue in 2017 was $2,830 million, of which a whopping 96% came from defence. As for Dassault, a privately owned and publicly listed company that manufactures and sells military as well as civilian aircraft internationally, its total revenue for 2017 was $5434.77 million—of which only 39% came from defence. Dassault’s defence revenue for 2017 was $2,124.19 million, up by 57% from its defence revenue in 2016, which was $1,356 million. Of course, a large part of Dassault’s manufacturing is civilian aircraft meant for non-military purposes, but by the company’s own admission, the export deals that came its way for the Rafale fighter jets proved to be its financial saviour in 2016. Reportedly facing weaker sales in other categories of aircraft, such as business jet Falcon, the company received a slew of orders for the Rafale fighter jets from Egypt, Qatar and India. In 2016, India’s Modi government placed the order for 36 Rafale twin-engine fighter jets in fly-away condition, for Rs 58,000 crore. According to defence ministry sources, around Rs 20,000 crore (approximately $2,842 million) has already been paid to Dassault in three instalments since 2016 by the Indian government. While it’s not known how much was paid when since 2016, clearly the Rafale deal with India had a significant role to play in increasing Dassault’s defence revenue, not only moving it up the ranks among defence manufactures but also averting a financial crisis. The offsets contract that accompanied the deal—requiring France to invest 50% of the deal’s worth in India in expanding production with a domestic company—was awarded to Anil Ambani’s Reliance Defence, a complete newbie into the sector. HAL, the country’s top and trusted defence manufacturer in the public sector, was bypassed. After the Rafale scam caught the country’s attention, the Narendra Modi government has since been trying hard (and failing spectacularly) to justify how and why this windfall of a contract was awarded to Reliance that had zero experience in defence manufacturing. Besides, the Congress accused the BJP of negotiating the deal at a much higher price than what the previous UPA government had negotiated back in 2012. And the renewed deal had also dropped the transfer-of-technology clause. HAL has been run down recently by the BJP-led NDA government—with the Opposition parties alleging a clear agenda of dismantling the public sector in favour of private capital, with special attention to the government’s crony corporate friends, such as the Ambanis. Currently, the once cash-rich HAL has been driven into such dire straits that it does not have cash in hand to pay employees’ salaries. Not only has the government not released any money for the confirmed orders with HAL, the company remains to be paid around Rs 14,000 crore for the aircraft that have already been delivered. What’s worse, the government has been sucking out cash from the public sector undertaking, just as it has been doing with other large and profitable public-sector companies through extracting extra dividends and through share buybacks. While HAL has paid Rs 6,393 crore to the government in share buybacks since 2015, it has paid 9,000 crore by way of dividend between 2003-2004 and 2017-18, leaving it poorer by Rs 15,500 crore.